A couple years ago a reader named Matt Dederick submitted an arcitle titled Reading Between the Lines: Estimating Tiger Tank Production. He recently followed that article up with two more entries in his Reading Between the Lines series. One article is on The Tiger I Tank Purchased By Japan, the other is titled What Colour Was It? The articles can be downloaded in PDF format at the links below. We review the new book German Heavy Fighting Vehicles of the Second World War: From Tiger to E-100 by Kenneth Estes. According to a post at warhistoryonline.com, the Wheatcroft Collection has come across a “huge haul” of rare German tank, half-track engines and spare parts. The Wheatcroft Collection in the United Kingdom is a large and important collection of historical softskin and armored military vehicles. It is one of the largest private collection of military vehicles in the world. The collection has around 200 items, including more than 130 vehicles, of which 88 are tanks.The majority of the collection is of German, American and British origin, with a smaller number of vehicles from Norway, Japan, France, Russia and Sweden. The owner of the collection, Kevin Wheatcroft, has been collecting military vehicles for 30 years. The collection is perhaps notable for having a number of extremely valuable and rare Second World War-era German military vehicles, including three Panther tanks, one of which is close to full restoration, one Panther II, two rare Tiger II (also known as “King Tiger”) tanks, a Tiger 1 as well as a StuG assault gun, a Panzer III, and a Panzer IV tank.The collection is also working on restoring the only surviving German E Boat. Kevin Wheatcroft said: ‘This is one of the most significant mechanical finds of recent times and has overnight supplied us with all the engines and gearboxes we need for our current restoration program’. Editors note: We find the mention of a ‘Panther II” in the Wheatcroft Collection to be rather curious. 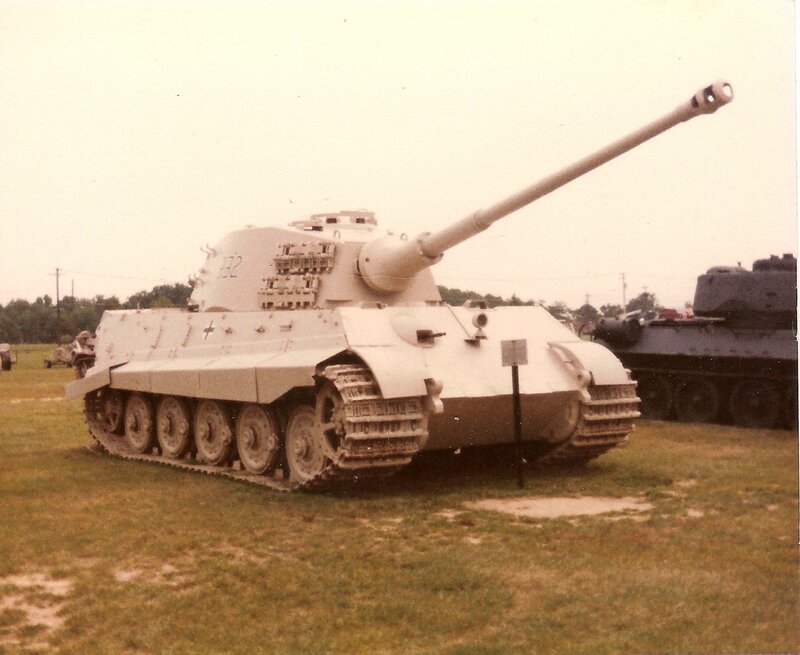 As far as we know, the only existing Panther II is the one that was part of the Collection at the Patton Museum which is now at Fort Benning. From the Editor: German “Cats” Influential? This article was originally the very first post on the “Tank and AFV Blog” published back in November of 2012. This is a slightly edited version.